Question of the Day: Does an "open" assessment approach (open texts, Net, real-time studentsharing) promote or dissuade cheating? 1) There is no where outside of the traditional classroom that someone would not be able to use whatever resources they wanted to complete a task -- [yeah, yeah, I can already hear the desert island iPhone battery jokes]. 2) What we usually call "tests" are anything but. 3) As far as "cheating" goes: why not just create assessments that a) don't assess the ability to memorize and b) are different for each kid? Want to know your thoughts. Do you give open assessments? 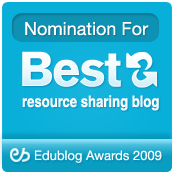 Do you let students use resources (Net, notes, each other)? How do you define "cheating"? Why do teachers create assessments that can be "cheated" on? "We launched our own computer lab in my classroom." I continue to be absolutely humbled by the fearlessness of teachers and students who took part in last week's Paperless Earth Day. A few days back, I published a post of things teachers had done to go paperless in their classrooms. Some were high-tech and some were lo-tech. They were all creative, thoughtful, determined, and pro-student. This evening I got word of another project a teacher and his students took on. And I'm in awe. "My 130 + students decided that we were not going to go paperless for just Earth Day, but rather the remainder of the year. We discussed a plan and then put that plan into action. My students and I were able to take a laptop cart that had been abandoned by most at the school due to the operating issue of the machines, which are about six years old. We spent the next few weeks leading up to Earth Day repairing and cleaning the machines up after school. "On April 22, we launched our own computer lab in my classroom." That's from a post by Mike Meechin, a high school teacher in Florida. He posted it on his blog -- Innovate Education -- and I, for one, am looking forward to checking in throughout these last several weeks of the school year to see how he and his students are doing. ASCD ran a list of interesting ways educators are embracing the "green theme" in their classrooms. "Starting in October 2009, our schools were the first in New York City to have Meatless Mondays." I'd love to hear your thoughts on school cuisine -- both in terms of things 'green' and things 'healthy'. For it's ironic that as people we recognize the value of good food in fostering good conversation and camaraderie, yet so often our school cafeteria lines are full of fried, salty, sugary heart-attack food seemingly at best bent on fostering bad breath and stomach cramps. Maybe we ought to keep in mind that 'teaching' doesn't take a lunch break. One of my favorite things to have come out of yesterday's Paperless Pledge is the documentation teachers have been making of their day's classroom experiences. Dave Glenn, a 6th grade teacher from North Carolina, blogged about his paperless day using Make Believe Comix with students. Andrea Schlager's 3rd grade class made a podcast documenting their Paperless Earth Day experience. Ann Leaness and her class cleaned up the front entrance to their school. Other teachers wrote about recycling initiatives, applying Web 2.0 to Earth Day, Zimmertwins, digital photography in math class, bike rides and waste-free lunches, and student blogging. 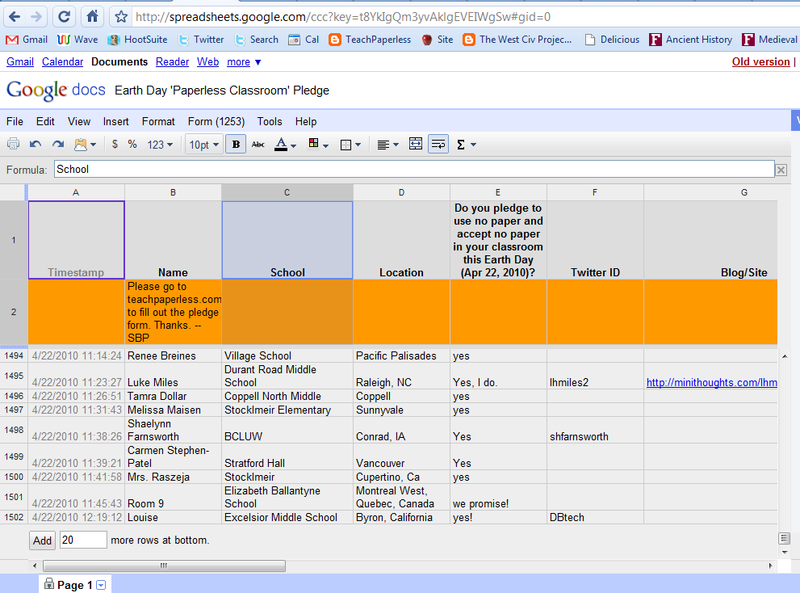 Throughout the day, teachers participating in the paperless pledge contributed to our Paperless Earth Day Wiki. 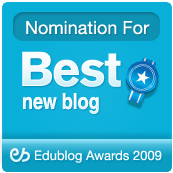 From Glogster and digital camera scavenger hunts in math class to digital science projects to online collaborative storytelling to conversations with experts via TodaysMeet: you'll find projects, ideas, and dynamic and collaborative paperless alternatives -- some high tech and some lo tech -- that you can incorporate into your own teaching. I look forward to hearing many more stories about paperless Earth Day, and I encourage you all to post documentation of your experiences to the Paperless Earth Day Wiki. Thanks! Over 1,500 teachers from Vietnam to Kenya to the UK to Missouri to Venezuela have all taken the pledge to go paperless for Earth Day. The pledge list is available online and is organized by school. Congratulations to all of the schools represented! Teachers pledging today can do so on our Google Form; we'll leave it open until Midnight today to be accessible to teachers taking on paperless night classes this evening. All teacher participants are invited to contribute their paperless classroom experiences to our Paperless Earth Day Wiki. We've already got some FANTASTIC contributions! Steve Katz -- the guy who first proposed this idea to begin with -- has started a Google Doc called "Going Paperless"; it's an excellent resource for classroom paperlessness. Steve is an inspiration to the paperless movement. Thanks to the Earth Day Network for helping out and giving us the extra "push". Thanks to folks in the media for helping to get the word out about the Paperless Earth Day Pledge -- especially the New York Times, the Arizona Republic, the Baltimore Sun, and the Dallas Examiner. Thanks to Edutopia for featuring the pledge in its just-released issue of Think Green! And most of all: thank you to all of the teachers, students, and admins who have made this possible. You all are fearless. For posterity's sake, here's a link to the original call on TeachPaperless. I remember at the time, Steve and I were hoping to get 100 teachers to join us. The results have exceeded our wildest expectations. The New York Times takes notice of the Paperless Earth Day Pledge in its list of Ten Ways to 'Go Green' and Mark Earth Day. Lots of great ideas there. My fav: "Plant a Tree". 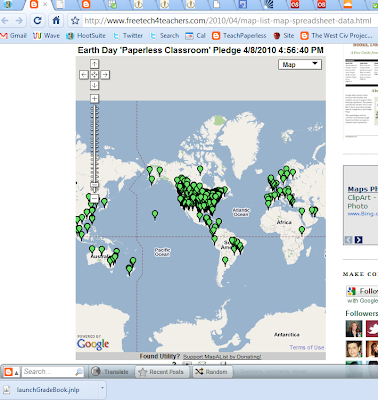 As of 9:20PM EST, there are 1,458 teachers worldwide pledged to go paperless on Earth Day. News about the pledge has been reported this evening on the blogs of the Baltimore Sun, Arizona Republic, and Dallas Examiner. And Edutopia ran a piece on the pledge in the just-released issue of Think Green. Most exciting, documentation is already cropping up on the Paperless Earth Day Wiki! The pledge form is still open: you can sign it here. Here's the story: Earth Day is tomorrow. As of 4PM EST, we've got 1,443 teachers pledged to go paperless in their classrooms tomorrow. Click here to see the full list of our paperless teachers (alphabetical by school). And click here to sign the pledge. Teachers are celebrating the 40th annual Earth Day by going paperless in their classrooms. Nearly Over 1,400 teachers from six continents have pledged to go paperless for Earth Day [updated 4.21]. They are sharing ideas and documentation of their experiences on the Paperless Earth Day Wiki which has been created especially for the event as well as on educator Steve Katz's "Going Paperless" Google Doc. The pledge drive is being supported by the Earth Day Network as well as a word-of-tweet network of educators on Twitter. TeachPaperless will be working over the next two days to help teachers work out last minute paperless plans and to help them document their work. Follow @TeachPaperless to get the latest information and to keep up with the paperless discussion. Teachers can sign the pledge to go paperless on Earth Day by following this link to the Pledge Form. The students in my West Civ class just published a series of "Year in Review" history magazines. Exported as pdfs to Issuu.com, I think they make an impressive case for opting for digital over paper in student publishing. Thought I'd share an example with you! Check out the 'works cited' page at the end; the student editors of this edition found some excellent resources online (we've been working on increasing the quality of our source and reference material). A primary source compendium that's become standard in our class is the Internet History Sourcebooks Project -- it and the BBC History site have literally made history textbooks in our classroom... well... history. Best of all, the kids loved making these magazines. For the past couple of days, our room has been transformed into a virtual publishing house. And when technology and content together can foster that kind of engagement, you know you're on the right track. "Going Paperless" for Earth Day! Steve Katz started a "Going Paperless" Google Doc full of ideas to help folks go paperless on Earth Day. You can contribute to the Doc and are welcome to take and share ideas with fellow teachers. Again, if you have any questions or need any advice on creating paperless lessons for Thursday's event, just post a comment here on TeachPaperless and I'll do my best to help you out. As of 12:30 EST, we're at 1,323 teachers pledged to go paperless for Earth Day. We've got just three more days to go! Please pass the pledge on to fellow teachers and remember to document what you do in your classrooms on Earth Day by publishing text, pictures, video, and whatever else to the Paperless Earth Day Wiki. Took a few days off before our final push to Earth Day. Now, I'm ready to go. Each day leading up to April 22, I'll be posting customized ideas for going paperless in your classrooms. Basically, if you give me a topic/objective and your tech capabilities, I'll give you a lesson plan/idea. If you don't want to use tech, that's fine; I'll come up with an alternative. Basically, I'm offering three years of paperless experience to help you design paperless lessons that will work for you on Earth Day. First come, first served; I'll do as many as I can and post them on the Paperless Earth Day Wiki. Meanwhile, please remind your colleagues to join 1,300 of their colleagues and pledge to go paperless for Earth Day! With just over a week to go, nearly 1200 teachers worldwide have pledged to go paperless for Earth Day. The pledge has been featured in the posts of a number of bloggers including stories in Learning Today and on Greenopolis; Richard Byrne made a really cool pledge map to show where we all come from; and our friends at the Earth Day Network have helped to get the word out along with tons of great folks on Twitter. Thank you to all of you. We started with just a handful of pledges and never had any idea it would get this big. It's your dedication and generosity that has made this possible. Now, it's crunch time. We've got just over a week to let as many educators as possible know about the pledge. I'm asking that all of you help by telling a colleague, a friend, your Twitter PLN all about the pledge. Let's push this thing a little further and see what happens. Also -- and this is a big also -- I've set up the Paperless Earth Day Wiki which will act as a repository for documentation of what you all do in your classrooms. I'd like this to become a communal resource for lesson plans, ideas, and the sharing of stories. Make it whatever you want to make it: it's yours. For my part, I'm going to document our Earth Day in pics and post a photostream on the wiki. Think big; be creative. It's yours. This pledge drive began as an idea in Steve Katz's head; I'd like to thank him for the work he's done. Here's the original post that went out in February explaining how and why we were doing this. Thanks to all of you who have pledged so far. Tell your friends and colleagues to take the pledge to go paperless in their classrooms on April 22nd -- the 40th annual celebration of Earth Day -- by clicking here and signing up. Thanks folks. You all are amazing. After you check out the list of over 1150 teachers worldwide who have pledged to go paperless for Earth Day 2010... and after you have yourself pledged to go paperless... then it's time to share ideas and documentation on the new Paperless Earth Day Wiki. Teachers have already started submitting their own plans for the day! 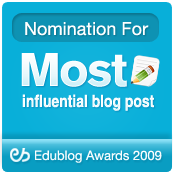 Open Blog: What Device is it that Students and Teachers are Looking For? So, the Google Tablet is imminent. And so it's time to open up the bloglines to some reader opinion and comments. For you iPad-wielding folks, based on your experience so far, what's needed to make these types of devices more applicable for students and teachers? Or is the 'right' device something entirely different? Can/Would education benefit from a ubiquitous device? And let's just talk devices for a moment. What do we teachers 'need' in terms of a device? What do our students need? What exactly is it that we 'need' to get to -- and use -- all our stuff out there on the Web? Lot's of questions. Let's hear what you've got to say. Had a great conversation with a retired veteran teacher last night. "It's easy for anybody to point out what a kid does wrong. But that's not what a good teacher does. A good teacher goes out of his way to figure out what the kid does right and then sets the kid on a path of confidence and success." As I prepare to go back to school tomorrow after a week and a few days of Spring Break, this is exactly the kind of advice I need to keep at the front of my mind. Focus on success, not failure. Turn failure into success and turn success into confidence. Seems like such a simple formula, and yet we as a profession struggle over it over and over again. Learning Today followed up on the paperless pledge piece with an interview. It was a pleasure to chat with them. 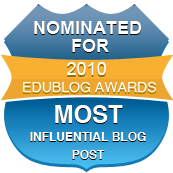 The ed software blog over there is a great resource, well worth your time scouring their archives. Richard Byrne used Map a List to make a really cool map featuring all of the folks who have pledged to go paperless in their classrooms on Earth Day. Check it out. BTW: I dare you to try to say the title of this post five times fast. Thanks to 'Learning Today's' Educational Software Blog for writing a piece on the Paperless Classroom Earth Day Pledge! Lots of love to all of the folks who have been spreading the word as we count down to April 22nd. All we need is twenty teachers to sign the pledge today and we'll hit 1100! See the list of teachers and schools that have taken the pledge, and then click here to take the pledge yourself. Pass it on to friends and colleagues! Earth Day Network is a national leader in environmental education. Check out our lesson plans, education grant programsand more! Find school greening information, lessons and action plans, and learn about our school greening projects. Discover youth from across the world engaged in their schools and communities with our International Green Schools program, global curriculum and EE projects! This is a really nice collection of resources. Be sure to check out the list of events educators are taking part in worldwide; and while you are in an Earth Day state of mind, be sure to stop by and see the list of nearly 1100 teachers worldwide who have signed our pledge to teach paperless for Earth Day. If you'd like to sign up to take the pledge, click here. And spread the word among your colleagues! The first Earth Day took place 40 years ago this April. 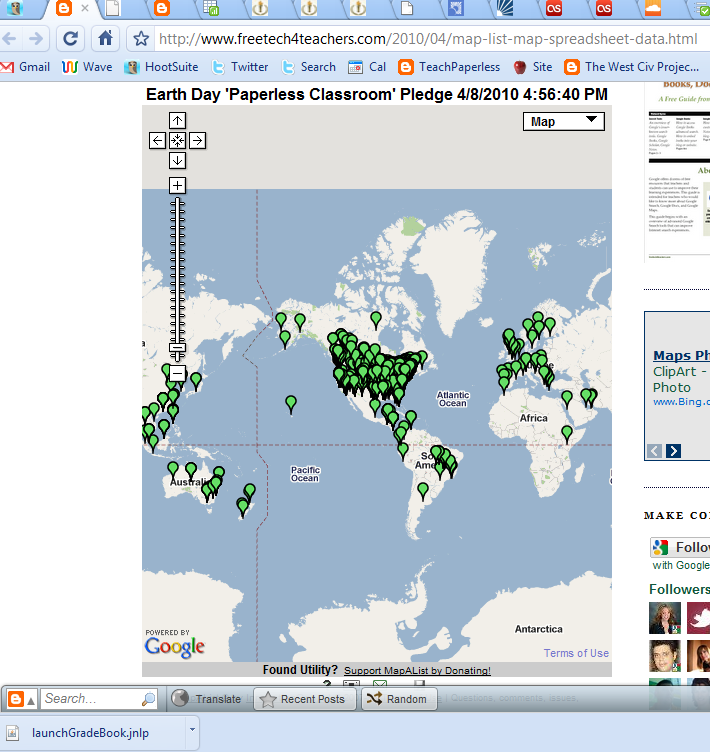 And on this Earth Day, teachers from around the world will be honoring a pledge to teach paperless on April 22nd. So far, over one-thousand teachers have taken the pledge. Click here to see the complete list of participants. And click here to make the pledge. I've also started a wiki for teachers to use in documenting their paperless day. Let's make this a special event both for saving paper and for thinking outside the box in terms of the ways that we engage with our students. Contact me or @irasocol for info. It was a nice surprise this morning to wake up to a post on Paperless Earth Day from Greenopolis on 3BLMedia. Very cool. Thanks for the support! As for an update on the drive: we've got 21 days to go and we're at 1025 teachers signed up so far pledging to go paperless in their classrooms for Earth Day. Ask a friend to pledge now!